Men's walking shorts are Union Made in the USA. Double tipped pockets. Available in regular and short rise. 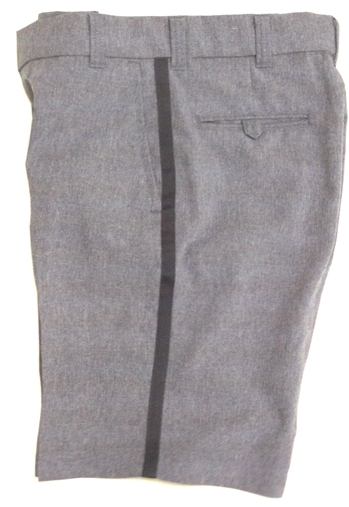 Regular rise Shorts come hemmed from factory at approximately 19.5 outseam (Sizes over 42 waist are slightly longer). Short rise shorts range from 18.5 to 19.5 outseam. Available in sizes 28,29,30,31,32,33,34,35,36,37,38,40,42 regular and short rise. Also 44,46,48,50,52,54,56 regular rise. We will custom hem your shorts at your desired length for a charge of $6.00 per pair. Please choose a length from the dropdown if you want a custom hem. Outseam is measured from the top of waistband down outside of pant along stripe to the bottom of the hem.